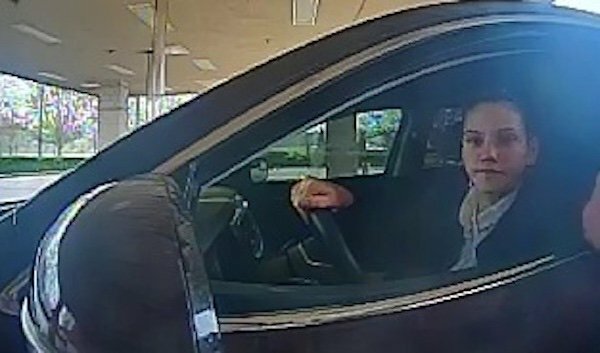 Crime Stoppers and the Harris County Sheriff's Office Financial Crimes Unit need the public's assistance identifying the suspect responsible for Forgery. According to reports from HCSO, on Tuesday, February 19, 2019, the victim's vehicle was burglarized in the 19100 block of the West Lake Houston Parkway in Atascocita. During this incident, the victim's purse and checks were stolen. The suspect (pictured) then used the victim's stolen checks at two different banks located in Sugar Land. 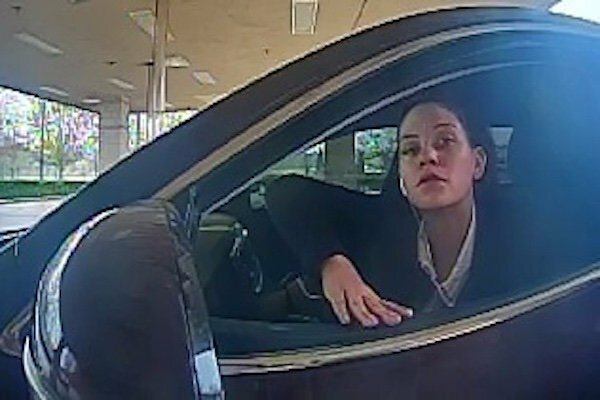 The suspect was captured on surveillance video while in the drive-thru of each bank. The suspect forged two separate checks for $1,500.00 each. This suspect was also involved in similar criminal activities on January 22, 2019, in Oak Ridge North. Suspect description: White female with brown hair. Refer to HCSO case number 1902-06105. Thieves are getting smart and are doing this again and again. Hope she is caught soon! Banks should ask for drivers license and put a camera that records each cars license plates. I have to show my id to *deposit* checks at my bank, and she just walks away with $1500, twice?